Capt Robert Kupps who has been a resident of Mexico for over 20 years. Energetic and passionate about boats and the sea, he holds a variety of credentials, including master surveyor, ASA instructor, PADI scuba and free diving instructor. 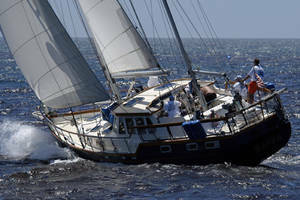 He is an established delivery captain, having logged over 100,000 miles on power and sailing yachts. He possesses a unique blend of boating expertise and familiarity with Mexico, making him exceptionally qualified to represent buyer and seller in a professional, competent manner. 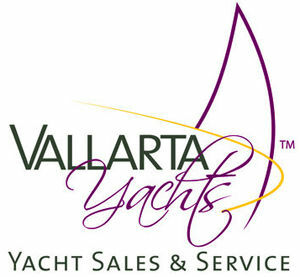 Vallarta Yachts specializes in quality vessels, new or used, whether you are looking for sailboat, trawler, express cruiser, motor yacht, sport fisher or multi-hull, we have them! We offer a great selection of cruising boats. Come see why Paradise Village Marina in Nuevo Vallarta is considered the preferred location on the Gold Coast of Mexico. With full amenities like 4 swimming pools, WiFi, gym, restaurants, A starbucks and an abundance of shopping, you can enjoy your time on or off your boat. In addition to some of the best cruising and fishing grounds in the world. Let us help you with the purchase or sale of your boat. It’s all about you, a valued client. As your yacht brokerage professional, we are experienced in guiding you through the process, assisting you in making informed decisions and are committed to your own personal boating needs. This 1990 Tiara Convertible is one of the cleanest you'll find. The spacious 2 stateroom layout combined with a classy and comfortable design make this 43 Tiara a great choice for cruising or fishing. 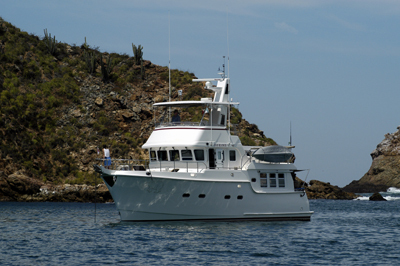 She is fully equipped for off shore fishing and has been very well maintained. A 2010 survey is available upon request.